I’ve never been one to set out a specific career path as such, but I have always had a clear focus on my work and an ambition to make our learning & teaching experiences the best they can be using all the potential of our (digital) resources at our disposal. This has very been the focus of my work at Leeds Beckett University, where we are beginning to see “digital” as an embedded feature of critical discussions around curriculum design & delivery. The strategic approach to this has been centred around my research into the impact of the TPACK framework as a digitally integrated academic development (DIAD) model for Higher Education (the focus of my current PhD study). Too often I have seen a separation of these activities in higher education, with segregated e-learning & TEL departments, often doing excellent work but separated from broader academic (curriculum) development activities. 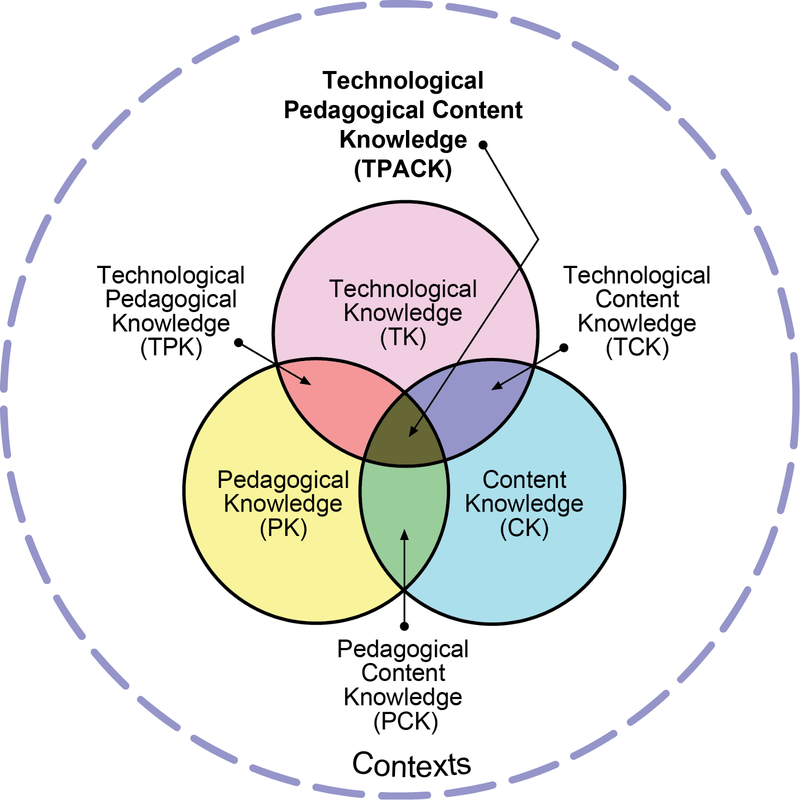 Using TPACK as a basis for integrating “technology” (TK) into academic development model means that it is considered as equally important as subject expertise (CK) and the understanding of learning & teaching (PK). We have used this model at Leeds Beckett to re-develop our Post Graduate Certificate in Academic Practice (PGCAP) and we are beginning to see the benefits of this approach with our incoming academic staff now more naturally embedding the use of digital tools and services into their learning & teaching as a part of their curriculum design activites. Well, now it’s time for a change, and although I will very much miss many fantastic colleagues at Leeds Beckett, where I have been for 16 years, I have decided to move on and I will soon be starting a new position at the University of Liverpool as the Director of the Centre for Innovation in Education. I was really excited to see Liverpool develop a centre like this, as it is exactly what I believe modern university academic development centres should be — integrating the support of curriculum design & development with the use of digital tools and technologies and engaging course/programme teams in the effective design and implementation of “critical digital pedagogies” to enhance the student (and staff) experience, whilst providing opportunities for innovation & collaboration. So, I am very much looking forward to working with a fantastic team of people at the University of Liverpool (a number of whom I know very well from their work in the sector) and leading the centre in supporting the University Strategy, with a particular focus on the Curriculum 2021 framework. To my colleagues at Leeds Beckett — thank you for a tremendous 16 years. I have thoroughly enjoyed working with you all. To my soon to be new colleagues at Liverpool — I am very much looking forward to getting to know you all and working together to support our academic colleagues in providing the very best teaching & learning experiences.